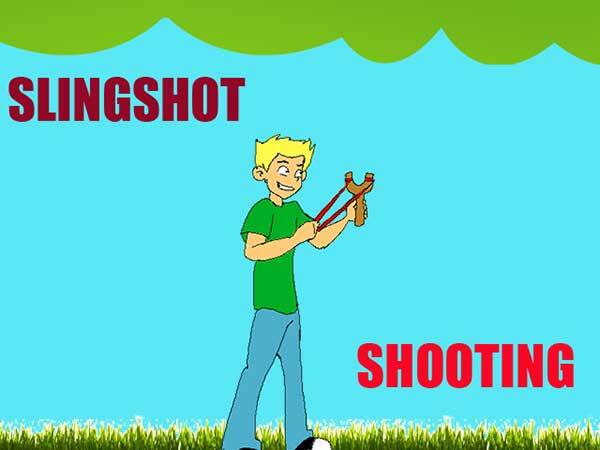 Practice your slingshot skills by playing this shooting game. Todd finds his bananas missing from his bag, looks up to discover monkeys are the culprits. Fed up with the monkeys’ taunting, he decides to take matters in his own hands. Touch and move Todd and the slingshot with your finger. Tap the boy to release a missile. Touch and move the red plate on the right to align with the monkey (specifically the banana). If the banana does not fall on the plate, it will be lost beyond the small hill. To win and go to the next level, make sure you collect all the bananas. This is achieved by correct placing of the red plate directly below the bananas.